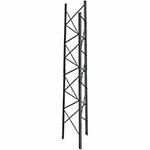 The Rohn RAL08 is an anchor base for Rohn RSL tower section 8 . 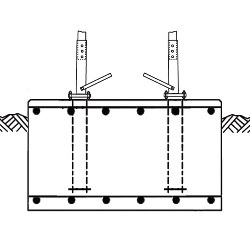 Anchor Base option includes : full-size template, anchor bolt lower template, leg stubs & anchors. Base design uses double lower nuts to allow for leveling. Required concrete footing size is 9'-6" x 9' -6"x 4'4" ( 14.5 cu. yds. of concrete. ).